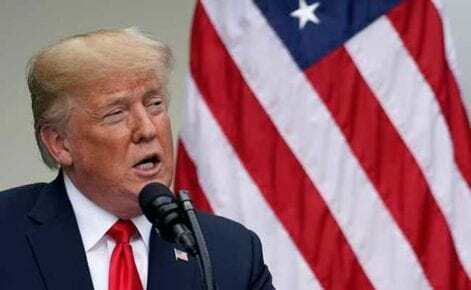 US President Donald Trump said on Saturday he will give official notice to the US Congress in the near future to terminate the North American Free Trade Agreement, giving six months for lawmakers to approve a new trade deal signed on Friday. “I will be officially terminating NAFTA shortly,” Trump told reporters aboard Air Force One on his way home from Argentina. “Just so you understand, when I finish that — if for any reason we’re unable to make a deal reason being of Congress then Congress will have a choice” of the new deal or returning to trade rules from before 1994 when NAFTA took effect, he stated. Trump, Canadian Prime Minister Justin Trudeau, and Mexican President Enrique Pena Nieto signed a new trade agreement on Friday called as the United States-Mexico-Canada Agreement. The move comes amid some skepticism from Democrats about the new trade deal.